Do we need a Minister for Cities? 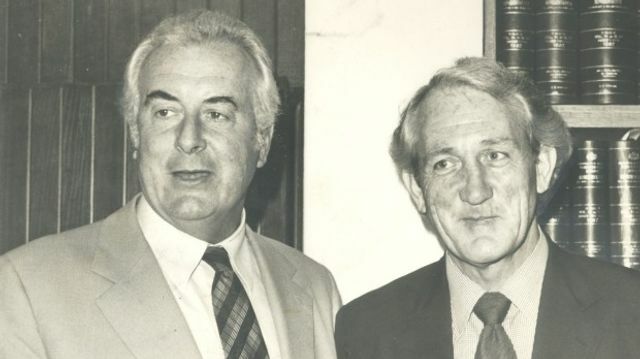 While many will recognise former Australian prime minister Gough Whitlam (left) from the picture below but few will know his minister for Urban and Regional Development, Tom Uren. Tom Uren headed the Dept of Urban & Regional Development from 1972 but the department was disbanded by the subsequent Fraser Government and we haven't seen someone fill the role at a federal level since. The industry bodies are calling for a "Minister of Citites" to be appointed to manage the challenges facing our cities and ensure their development is sustainable. The article below refers to the report that has been prepared by ASBEC (Australian Sustainable Built Environment Council) advocating for creation of such a position. It also gives the view of those who argue that the Government already has the tools at its disposal to address these issues but it seems to pass the buck as an issue for the states and territories, rather than tackle the issue. Whether or not the requested role is adopted by the Federal Government, they need to respond with their plan for how to address the issue of Urban development and managing the co-operation required between the various levels of Government. No one likes unnecessary red tape, but one sector which touches us all, property, certainly has its fair share. With Australia having amongst the highest rates of urbanisation in the world there have long been calls for our government at the highest level to dedicate a ministerial position to tackle the problems of our cities and address urbanisation issues. No one doubts the economic importance of our cities to the nation’s prosperity, but there remain many issues in regards to land supply, infrastructure and affordability. The Australian Sustainable Built Environment Council (ASBEC) has been among those advocating for appointing a Minister for Cities by the Federal Government and has presented a report outlining the need for such a portfolio that would lead the development of an intergovernmental agreement with the states and territories”.